Season highlights include residencies and solo performances beginning opening night with Mozart’s 5th violin concerto featuring the dazzling violinist, Ray Chen, well-known to young musicians for his comedic and stereotype-smashing social media posts. Following, Sun Valley favorite Jean-Yves Thibaudet returns with fellow French virtuoso, cellist Gautier Capuçon for a week-long residency. They team up Aug. 1 for a recital featuring works by Brahms and Shostakovich. Thibaudet will then play Gershwin’s piano concerto on Aug. 4 with the orchestra, and Capuçon will take his turn on Aug. 5 with Saint-Saëns’s cello concerto. Former Sun Valley Summer Symphony Associate Conductor and current Louisville Orchestra Music Director, Teddy Abrams, will lead Pops Night Aug. 17 with Broadway singer Morgan James, presenting an evening of George Gershwin favorites. Mason Bates returns as composer-in-residence with his water-inspired symphony “Liquid Interface” on Aug. 14. He’s featured again on Aug. 18 bringing back “Devil’s Radio” — a piece commissioned by the Symphony for its 30th anniversary — and debuting “Passage,” featuring mezzo-soprano Sasha Cooke and excerpts from John F. Kennedy’s famous Moonshot speech. This season is also the 22nd year of the Symphony’s Music Institute Summer Programs, which will run July 29 through Aug. 10. The Institute offers 1-week programs for elementary through high school students of all abilities in piano, voice, woodwinds, brass, strings, and percussion, and a 2-week Advanced Chamber Music Program for college undergraduates and exceptional high school students. 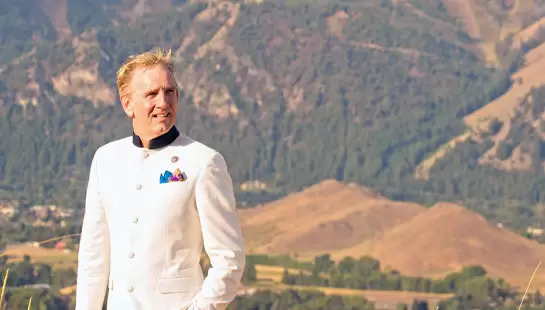 All programs feature outstanding faculty, including Music Director Alasdair Neale, Associate Conductor Sameer Patel, and many musicians from the Sun Valley Summer Symphony orchestra. Additionally, guest artists Ray Chen, Gautier Capuçon, and Jean-Yves Thibaudet will spend time coaching and mentoring young students. Thanks to the generosity of Symphony donors, all programs are tuition-free, with only minimal costs for registration and materials. Registration is available on the Symphony’s website at svsummersymphony.org. The application deadline is April 1 for the Advanced Chamber Music Program and May 1 for the one-week programs. All concerts in the 2019 Summer Concert Series will begin at 6:30 p.m. The Symphony will release details in February for its annual Gala performance. Visit the Symphony website at svsummersymphony.org for complete 2019 season details and the latest information, news, and event information.